The All NEW Z-CR-WL is a one of a kind wireless crane scale that provides a wireless readout and operation. 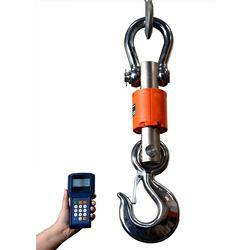 You simply hang items on the scale then you can read the weight and operate the scale, even at a distance of 600 feet! The stainless steel, wireless indicator can zero, tare, accumulate, count and print. When you turn off the indicator, the scale will go to sleep mode to save power.